Guangzhou and Hangzhou will be the two Chinese cities that host “Kingpins China City Tour” this year (September 5 & 7). 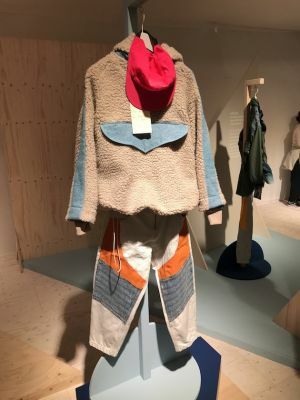 But this time the denim trade show will open its doors to both professionals and consumers with “Kingpins Shop” in Hangzhou on September 7&8. We talked to Vivian Wang, global head of sales/managing director China, about this new approach and further plans for the upcoming edition. What is the “Kingpins Shop” concept in Hangzhou all about, what can visitors expect? “Kingpins Shop” is a two-day, consumer-focused denim festival that aims to create a unique shopping event uniting denim lovers with the denim insiders that make everything from denim fibers and fabrics to their favorite jeans and indigo accessories. Set to take place on September 7 and 8 in Hangzhou, Shop will be open to the public as well as the designers and buyers who attend Kingpins China City Tour’s Hangzhou edition. The two events will be held under a single roof, with Kingpins Hangzhou focusing on the supply-chain side of the denim industry and Shop offering two days of indigo-centric retail, hands-on workshops and unique experiences that celebrate all things denim. Back to the professional side: very basically, why as a brand representative or buyer shall someone visit Kingpins China? What can one see there that he cannot see anywhere else? 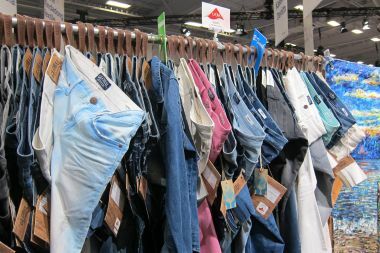 There are many sourcing trade shows in China, but our focus on denim and the denim supply chain (not just mills) as well as our specific mix of exhibitors–which range from key and innovative Chinese resources to prestigious international offerings not available at any other trade show in China, such as Candiani and Tonello–make Kingpins China City Tour incredibly unique. Guangzhou or Hangzhou? Which show visit would you recommend to what buyer? Will there be any differences in terms of set-up, exhibitors, etc.? The exhibitor roster and show floor offerings are identical between Guangzhou and Hangzhou, however there will be the additional “Kingpins Shop” event in Hangzhou mentioned above. You used to have Zhengzhou and Shishi on the tour map as well–why not any more? We included both Zhengzhou and Shishi in previous Kingpins China City Tours but have narrowed our focus to Guangzhou and Hangzhou as we feel these two cities merit a deeper focus and exploration as they cater to a majority of our exhibitors' target clients. Are there plans to add any other cities to the tour in 2019? No. We'll be focusing on Guangzhou and Hangzhou for the foreseeable future. Yes, we'll be back in Hong Kong in May and China in September 2019.